Welcome to BerkeyLeadership.com. Effective school leadership is not an act, but a daily habit of employing skills and practices that have a high impact on the improvement of teaching and learning. Our company is devoted to helping school leaders acquire, share, and practice effective leadership through gradual and sustained personal growth. Whether you are a veteran school administrator, new to the principalship or preparing for it, our tools and resources will provide you with research based practices that will assist you in redefining your daily work to get real results. 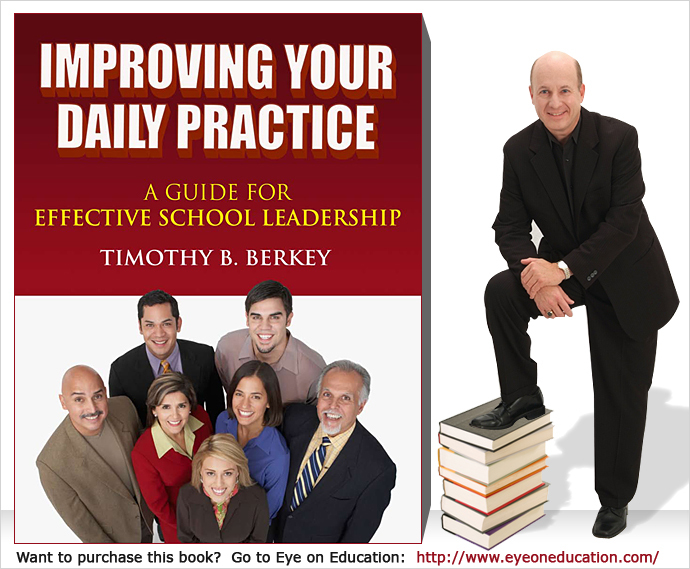 BerkeyLeadership.com is also a free depository for ideas, tips, and best practices so that the educational leadership community can grow strong and help transform our schools to keep America number one. Please visit our School Leaders Talk Shop at http://berkeyleadership.ning.com/ to share your great ideas and discuss mutual challenges with colleagues in the field. Again, welcome to our website and please take time to tour our resources and communicate with fellow school leaders.